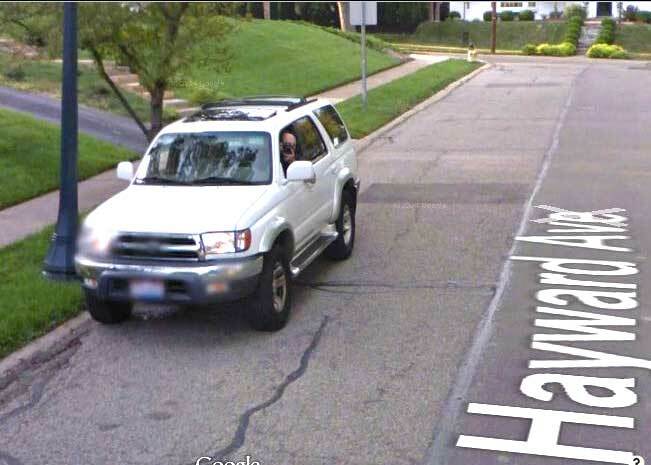 Google Maps launched its Street View feature in 2007 as a navigational tool, but it quickly became a source of entertainment. It was inevitable that the car-mounted camera would capture funny or compromising situations. While far from outrageous, these scenes from the Google perspective will be of interest to car enthusiasts. The Google car just happened to drive by and record about 60 collector, classic and sports cars preparing to depart on the 2012 Countryside Tour, part of the Cincinnati Concours d’Elegance at Ault Park. 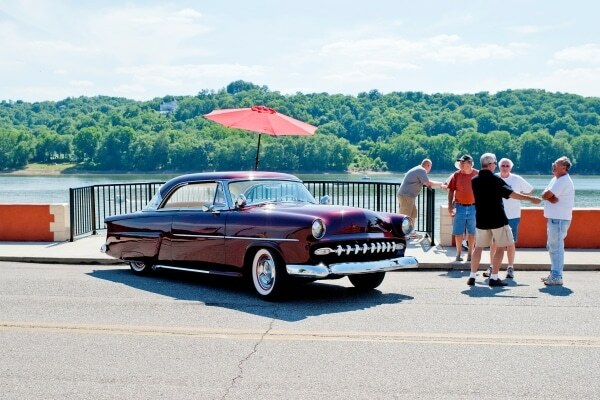 For more than two decades, supporters of the event have gathered at the village square in historic Mariemont, OH, for the start of the traditional tour, held mid-June on the Saturday preceding the concours car show. The half-day drive through southwest Ohio is a fundraiser for the Arthritis Foundation and routes participants to a featured site or activity. Despite the blurred faces and license plates, the images show great detail. The colorful Google car transporting a 360-degree camera is hard to miss. Here’s one cruising a Cincinnati neighborhood. 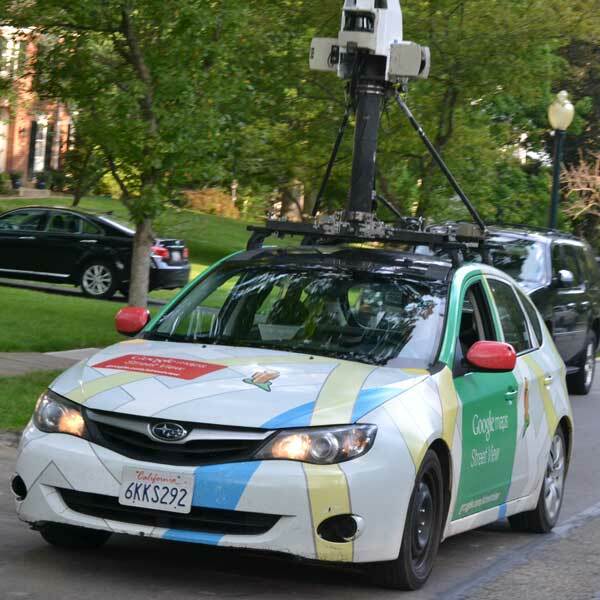 The Google car transporting a 360-degree camera is hard to miss. Here’s one cruising a Cincinnati neighborhood. Early in the morning, Mariemont Police officers close off the 28 public parking spaces that are normally occupied at noontime by ice cream parlor, restaurant and movie theater patrons so that tour participants can squeeze their cars into the confines of the landscaped square. Cars taking part in the tour include: Auburn, Beck, BMW, Corvette, Datsun, Ferrari, GT-40, Jaguar, Mercedes-Benz, MG Metro, MG TD, MGB, Miata, MINI, Morgan, Morris Minor, Mustang, Pontiac, Porsche, Rolls Royce, TVR, VW. 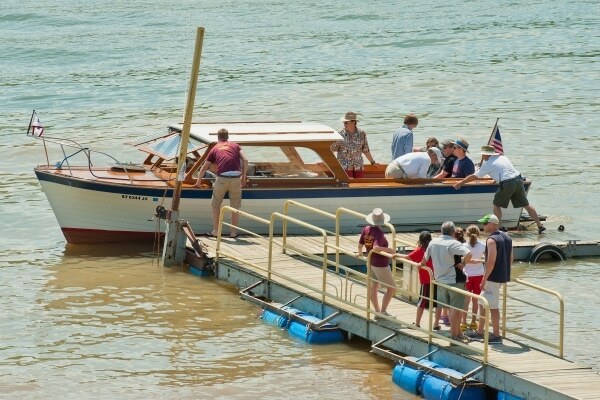 The featured stop on the 50-mile Countryside Tour was Front Street in the historic riverfront town of New Richmond, OH, where participants met up with classic wooden boat owners for a short cruise on the Ohio River. BONUS: Click this link to access one of the Google views shown above. You can pan and zoom to get closer look at the cars. Note the timeline in the top left corner showing June 2012. If you click along the street to move to another position, it’s likely that this date and event won’t appear due to subsequent updates. Perhaps the Google editor was a car buff and left a few frames behind for our enjoyment? Remember that camera-equipped car shown at the beginning of this post? Here’s me taking that photo while Google was taking mine! 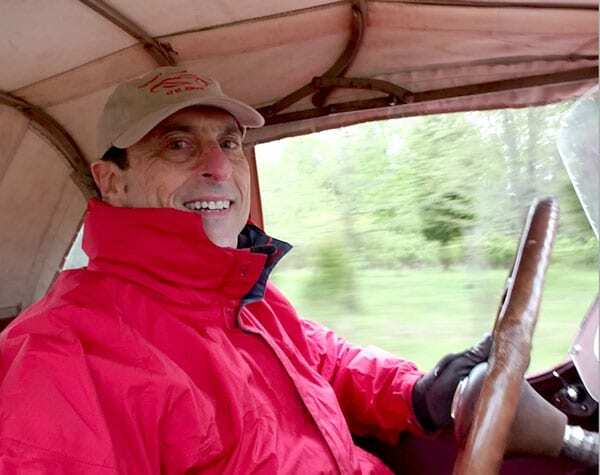 John is an advocate for the collector car hobby, with a focus on concours d’elegance shows and their philanthropic endeavors. He was first to provide a concise resource of concours event info by creating ConcoursDates.com in 2012. That site was recently rebranded as concours.NEWS.